In 2014 - 2015, our Deputy Headteacher led a detailed review of some key aspects of the ethos of the school, clearly defining what this means to our children, the whole school and the wider community. She has involved all stakeholders including children, their parents, governors and staff. We recognise that values won't be assumed and acted upon if they are regarded as a separate, 'bolt-on' lesson. They must be explicitly taught and, in particular, where these values are very different from those at home, modelled by staff at every opportunity. There are many opportunities for children to influence what happens on a day to day basis, as well as longer term, at Cliftonville. For example, each year children elect their peers as school council representatives. The school council has worked with the senior leadership team on many issues including the appointment of the headteacher in February 2014, design of the new sports provision in the KS2 playground and improving the routines at home time. In addition, children have taken part in debates on local transport matters with Thanet District Council, visiting the council offices. The school council run regular book swaps, lead assemblies and charity fundraising. 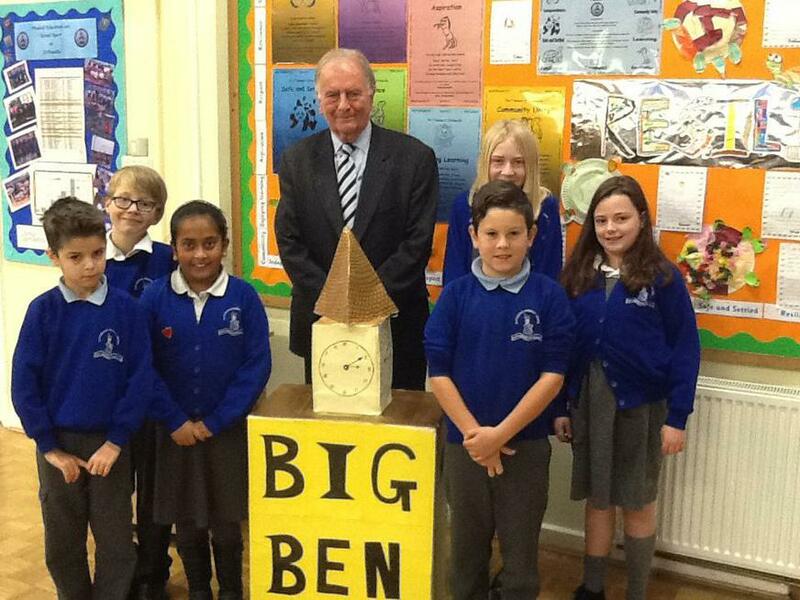 We have also been lucky enough to have visits from both the local MP and Mayor. In June 2015, Miss Connellan, who facilitates the pupils' school council, spent a week in Westminster as part of the Teachers' Institute programme. She led 'Parliament Week' from the 16th - 20th November 2015 which included a raft of activities, visits, visitors and events for children and parents. We were thrilled to receive such complimentary feedback from Mr Dominic Woodward who visited the school as part of Parliament Week. Mr Woodward is a civil servant, based in London, who works for the Department of Health. The children were very interested in finding out all about the workings of central government. They listened very attentively and asked some very mature and thought-provoking questions. We also had a lovely card written by a parent following the parent-councillor coffee afternoon. I just wanted to put on record my thanks for yesterday. From the moment I arrived I was thoroughly impressed with the school, its facilities and its staff and, most importantly, its students. It was a pleasure to speak. 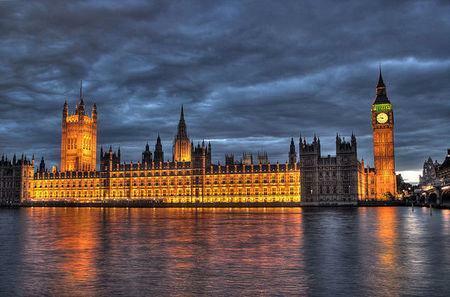 I hope that today goes (went) well, enjoy the remainder of Parliament week and have a restful weekend! A short note to say thank you for hosting the Parent-Councillor coffee afternoon. 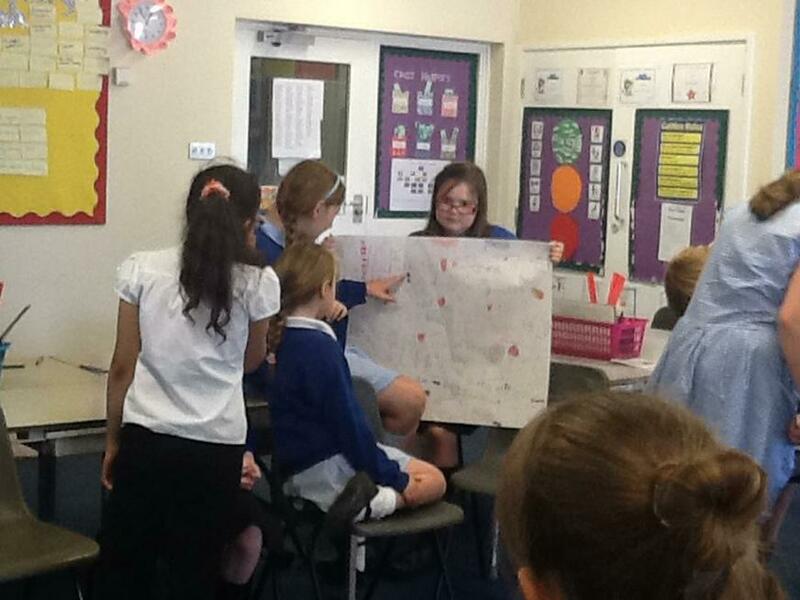 I was truly amazed at how confidently the children present supported the event. They were true school ambassadors. My special thanks to the young girl in Year 2. She made me feel very welcome as I was on my own. As a new Margate resident it was nice to meet people. 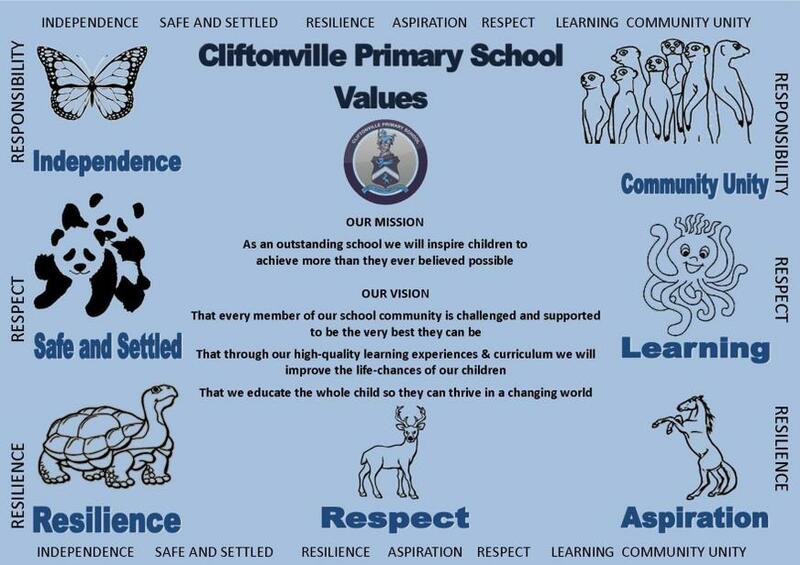 Cliftonville School is underpinned by an explicit ethos where rules, whether they be for the class, key stage or whole school, set the expectations of how the school operates. This begins in the nursery by teaching 'right from wrong' building year on year leading to Key Stage 2 considering national laws around legal responsibilities: safe travel, cycling proficiency, protected characteristics, drug education, etc. We have lots of visits to reinforce these important messages including Margate Task Force, Kent Fire and Rescue, Thanet Coastal Project and drama groups. Assemblies are also carefully planned to develop children's understanding of the rule of law and the purpose of laws in keeping people safe. Our behaviour policy clearly defines rules, rewards, responsibilities and sanctions. Rules and the concept of fair play are taught in PE lessons, children taking part in sporting competitions and festivals. Children should develop a positive sense of themselves and be given opportunities in the curriculum and wider curriculum to make choices and express their opinions and feelings. We actively encourage children to be active participants in their own learning which is done in a safe and supportive environment. They are also supported when they make the wrong choices and to learn from their mistakes. Seeing others’ opinions and expressing feelings are explored in lessons including character ‘hot-seating’ in literacy. Our e-safety lessons teach children about respecting their own and others’privacy, the negative impact of cyberbullying and exercising freedoms to communicate electronically wisely and safely. cultural heritage other than British. 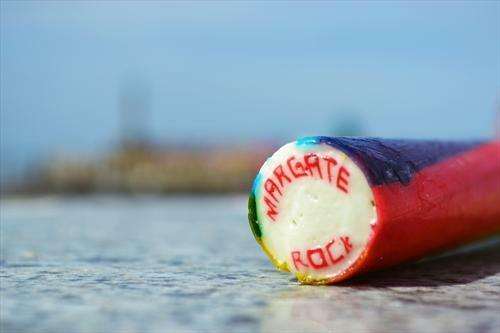 Respect and tolerance run through our school like a stick of Margate rock! The impact is seen in good behaviour, very low rates of exclusion, positive feedback from visitors etc. We have a large number of designated language ambassadors who mentor new children and their parents. Through the RE curriculum and assemblies children learn about different religions and learn from different religions. Children’s own experiences of worshipping in different settings, is often shared with peers during RE lessons. Carefully chosen stories, images and songs strengthen the children’s understanding. Stereotyping and prejudices are challenged again through stories in assemblies, texts used in literacy lessons, drama workshops etc. Some assemblies take place in the local Church. Displays around the school, celebrate our diverse community. Any parent who is concerned that their child is vulnerable to the opinions, viewpoints or suggestions of those in or out of the school, that may be deemed political, social or religious radicalisation should contact Mrs Troth. 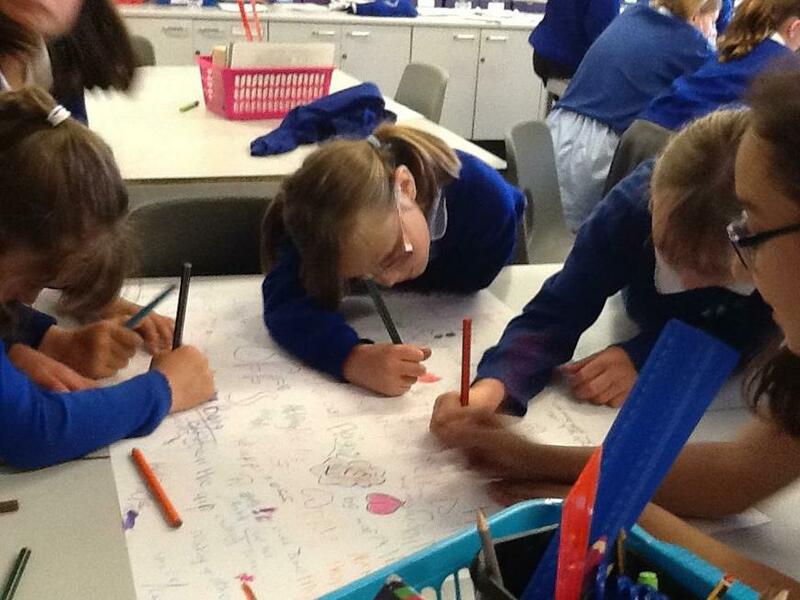 Cliftonville pupils have been learning all about our school values. For each of the values they took part in an activity that it represented. In this activity KS1 children learned how to tie their own laces and then tackle more complicated knots whilst KS2 children had to research a variety of general knowledge questions on the internet using iPads. Independence is about being able to work something out on your own, to problem solve and not be dependent on others. Here the children needed to come up with their own top 5 rules for keeping each other safe in school. Being resilient is sometimes hard and we need reminders and encouragement about what can do. In this activity children were given a paper plate which they then stuck on their backs and they had to write a positive comment about each other. In this activity the children were asked to discuss all the differences that existed between us all. They talked about how exciting it is to have all these differences – that we should respect each other. The children were asked to think of a target that they were going to aim for throughout the year - they wrote on their paper rockets which will now go on display in their classrooms. Learning doesn’t only happen in the classroom or at school, it happens everywhere. In this activity the children were asked to share with others something new that they had done over the summer. We heard some exciting tales and experiences. The school was lucky enough to be invited to nominate twelve children to represent us at a special celebration in Margate in June. It was hard choosing children but we decided to select those who live our school values every day...and go the extra mile, too!